Marie Blistan, a high school special education resource center teacher in Washington Township public schools, is the vice president of the New Jersey Education Association. Blistan previously served as NJEA’s secretary-treasurer (2009-2013). She was re-elected to a second two-year term as vice president effective Sept. 1, 2015. At NJEA, Blistan is chair of the Property and Personnel Committee, is liaison to numerous NJEA committees that include Certification, Evaluation, and Tenure, Convention, Exceptional Children, Higher Education, Human Rights, Minority Leadership & Recruitment, Instruction, Professional Development, Sexual Orientation & Gender Identity, Technology, Working Conditions, and Youth Services, works directly with the County and State Teachers of the Year, sits on the Staff Pension Fund, is the treasurer of NJEA PAC, and is the current host of “Classroom Close-up, NJ”, NJEA’s Emmy award-winning weekly television show. As an officer, Blistan plays an active role in working with other special interest groups. She was the vice president of the Work Environment Council, chairs the New Jersey Special Education Stakeholders Coalition, is a trustee for the Brain Injury Association of New Jersey, serves as a member on the EMERGE NJ Board, co-chairs the State Teacher of the Year University committee, is a member of the NJ Hall of Fame Board of Commissioners, a member of the DOE’s ACHIEVE-NJ committee and a former member of the School Professional Learning Committee where she advised the Commissioner on pertinent topics, a member of the Governor’s Committee on Special Education Task Force, serves on the Boys and Girls Club of 3 Gloucester County’s annual gala committee, and is the liaison to the State Board of Education as well as other education affiliate groups, including Student NJEA and the Higher Education Association. During her first term as vice president, Blistan was the lead officer in establishing NJEA’s Hurricane Disaster Relief Fund for members and student. She is also proud to be a part of NJEA’s Hurricane Sandy Back-to- School Relief Program as well as the Sandy Ground Project—a joint venture with the New Jersey’s Firefighters’ Association that resulted in nine playgrounds being built throughout the state of New Jersey. These playgrounds were part of the 26 built across Connecticut, New York, and New Jersey. Additionally, in 2013, Blistan worked with other public sector worker unions to help pass the historic constitutional amendment on New Jersey’s minimum wage, was recognized in 2014 by the NAACP, and was the 2015 recipient of the NJ State Democratic Committee’s Jefferson Jackson Award. In her role as secretary-treasurer, Blistan chaired the Budget Committee and sat on the Distinguished Student Teacher Awards Selection Panel. Additionally, she was a member of the Milken Award Selection committee and served as the officer liaison to the New Jersey Retirees’ Education Association (NJREA). Blistan served as president of the Gloucester County Education Association (2005-2009) and was active in NJEA since early in her career. She has held co-chair positions on the Gloucester County Government Relations committee as well as the Gloucester County Legislative Action Team (2008). She sat on the Gloucester County Professional Development Board (1998-2004) and is a member of the N.J. Professional Teaching Standards Board (2008 to 2011). In 2007, Blistan successfully spearheaded opposition to an involuntary pilot program that would have consolidated all of Gloucester County’s school districts. In addition to her county duties, Blistan has held leadership positions in two local associations. She was executive vice president of the Washington Township Education Association (2003- 2005) and the president of the Somerdale Education Association (1984-1986) in Camden County. Blistan also served as the WTEA vice president of secondary (2001-2003) and vice president of special services and secretaries (2000-2001). She chaired numerous committees in both associations and was the 1987 Somerdale and Camden County Teacher of the Year. She has also been honored with a Friend of Gloucester County Education award in 2011 and a special recognition award from the Bridgeton chapter of the NAACP in 2013. 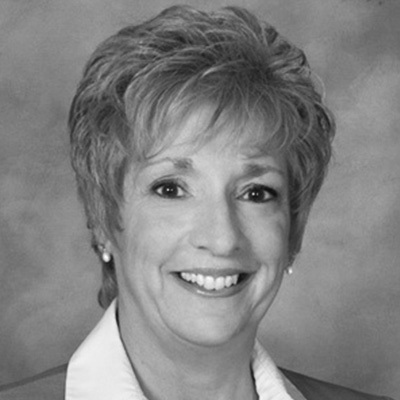 Blistan co-founded and was the chair of the Gloucester County Education Commission (2007- 2009), where she created a positive forum for NJEA members to meet with legislators on selected topics that affect both members and public education. Her efforts on this project served as a model for other counties to successfully launch their own county education commissions. Blistan chaired the NJEA Distinguished Service Award Committee (2007-2009) and has also served on the NJEA Government Relations (2005-2009), Instruction (2001-2005), Exceptional 4 Children (2005-2007), and Urban Education (2007-2009) committees. She was an NJEA consultant in the UniServ (2007-2009) and Professional Development and Instructional Issues divisions (2002-2009). In 2003, Blistan was inducted into Delta Kappa Gamma Society International, a world-wide professional educator’s organization. A graduate of Camden County College and Glassboro State College (now Rowan University), Blistan continued her graduate studies and earned a master’s degree in reading. Blistan holds certificates as a teacher of the handicapped, reading, secondary English, and as a reading specialist. She has also earned a supervisor of instruction certificate from Rowan University. Blistan’s continued focus as NJEA vice president is for NJEA and all its members—certificated, support professionals, retired, and student members— to continue to take the lead on the discussion of New Jersey’s education progress in order to provide the best experience possible for all public school children. Blistan and her husband, Bob, a retired high school special education teacher in Washington Township, live in Harrisonville. She has two sons, a daughter, and three grandchildren.